While we were not able to Host our Fish Fry Benefit as we have for the past 7 years, we didn’t want the Holiday Season to pass and not do something to help with the Special Kid Sponsor Program; a Program that has become so near and dear to our hearts. We reached out to Subcontractors, Vendors, and Customers who have so graciously taken part in our Benefit in previous years to take up Donations for the Program. 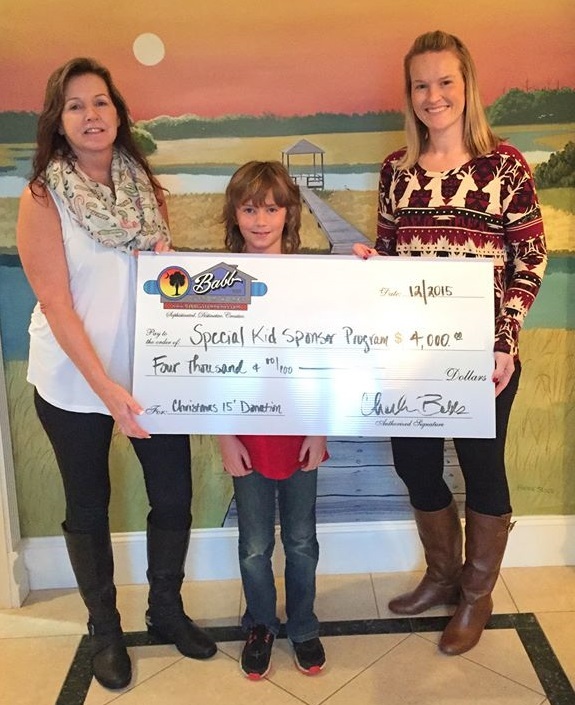 We decided that Babb Custom Homes would match any Donation that we received…$4,000 was Donated to the Special Kid Sponsor Program in December 2015 from our efforts.